The common view about Turkey up until a couple of years ago was generally positive. According to most observers, Turkey was making visible progress in areas of respect for human rights and democratic reforms as a result of the country’s accession efforts when it received EU membership candidacy status in 1999. The economically booming country strategically located by the Bosphorus was a rising star in the eyes of the international community. It was supported by the leaders of the West and served as an example of a majority Muslim population country working its way towards democratic standards. In the meantime, pressure created by the deep polarization of society and concerns about losing the secular identity of the Republic gradually increased, and 2013 became a turning point for a number of reasons. Perception of the country’s respect for political freedom and human rights was greatly damaged by the excessive use of police force during the Gezi Park demonstrations. At the end of 2013, Turkey witnessed the break out of one of the biggest corruption scandals in history involving high-level bureaucrats, politicians, and businessmen. Since then and mostly due to the undemocratic nature of the actions taken by the government to cope with these events, the country has experienced setbacks in freedom of expression and media, censorship, corruption, minority rights, and other areas. Turkey fell more than any other country on the Corruption Perception Index of 2014, dropping five places in just one year. Deeply shaken by the coup attempt on 15 July 2016, Turkey has been pushed to the edge of a cliff, namely the risk of chaos and a civil war that could have lasted for years had the coup been successful. Now, as it recovers from the traumatic effects of the horrific attack on 15 July, this may be the perfect time to build the country from its ashes and defend its democratic institutions. Among the recent shocking stories are a series of corruption allegations revealed by the coup investigations. Incidents such as stealing national exam questions; unjust decisions deliberately given by judges and prosecutors under political influence and illegal organizational direction; appointments and promotions to critical government offices for the purpose of ensuring that a certain group of people get ahead in the game; illicit diversion of public funds and properties to certain groups — all demonstrate the deficiencies of Turkey’s governing system. If the country is to experience a real process of reformation, corruption must be dealt with once and for all. A quick look at international indices provides a very clear picture of the democratic measures the country needed even before the coup attempt. On nearly all international indices – from Transparency International’s Corruption Perceptions Index (CPI) to the Rule of Law of World Justice Project (WJP) from Freedom of Press to Open Government – Turkey has been on the decline for the last couple of years. Turkey fell more than any other country on the Corruption Perception Index of 2014, dropping five places in just one year, even worse than China. This dramatic drop continued in 2015, bringing the country down 13 places on the world renowned corruption ranking in just two years. Of the nineteen G20 member states, Turkey currently ranks 12th on CPI 2015 (see Graphic 1). In the meantime, the Twitter Transparency Report of 2015 named Turkey as the censorship champion with the highest record for content removals and account closings, outstripping some of the world’s most autocratic regimes and the usual suspects, such as Russia. Meanwhile, according to WJP’s Open Government Index 2015, Turkey’s overall score is 0.45 and its global ranking is 82nd out of 102 countries, and WJP’s Rule of Law Index 2015 also ranked the country 80th among 102 countries with a score of 0.46. Turkey’s status on the Freedom House categories of “Freedom in the Net” and “Freedom of the World” is “partly free.” There are 112,750 websites censored in Turkey, which must have been one of the reasons for this classification. The list is long, proof that the country requires a reset to deal with all these structural problems. Indeed, a reset seems to be the only way out of these troubling times. Tackling Corruption or Living with It? Corruption has been deeply rooted and widespread in Turkey for a long time, like an endemic virus, and some would date the beginning of corruption back to Ottoman times. The major challenges of rampant corruption, especially grand corruption (corruption that pervades the highest levels of a national government), which are deeply rooted in many sectors of society, including the public sector, the private sector, and political parties, remain an issue of great concern. Performance on the corruption ranking index in the last 20 years actually demonstrates how well-established and widespread corruption is in Turkey. The country’s ranking on the well-respected CPI has always been under 50 out of 100, which puts it in the group of high risk countries (see Graphic 2 with compared results). Turkey's half-hearted fight against corruption is also evident in recent reports from international bodies that Turkey is a member of and to which it made commitments under international conventions at the state level. Turkey declared its intention to join the Open Government Partnership (OGP) in September 2011 for a more transparent, accountable, and open government. However, it is now at serious risk of being given an “inactive status” after Azerbaijan for not fulfilling any of its commitments under OGP as of 2016. Turkey will now have to produce a publicly available National Action Plan which includes concrete steps by 1 September 2016 by engaging with civil society, but again, we see no sign of any improvement. Additionally, Turkey signed the UN Convention against Corruption (UNCAC) in 2014, and the first cycle of the UNCAC implementation country review process (2010-2015) has been completed. According to Transparency International (TI) Turkey's independent report on the review process, Turkey’s legal regime generally fulfils UNCAC requirements; however, the enforcement is poor overall as there are major shortcomings in the judicial enforcement and violations of laws. The report also notes that government offices are not responsive and the system has shortcomings in terms of data collection, analysis, and open public access. The EU Commission has also expressed concerns about corruption in its progress reports in consecutive years. In the latest report from 2015, the EU Commission emphasized that corruption cases are not duly investigated and that politicians and bureaucrats enjoy a wide range of immunities. The report also highlights the lack of prevention measures for anti-corruption, such as political financing, declaration of assets, conflict of interest, etc. All these assessments draw attention to a single issue that is a major impediment to the country’s economic development and directly affects people’s lives. Clearly, living with constant corruption for such a long time erodes the principle of the rule of law and destroys people’s trust in the system. Looking back on the government’s actions over the last six years, raises the question of whether or not the political will required to make progress in this fight even exists. While international organizations and respected civil society organizations highlight the wide spread corruption and urge Turkey to make progress in this area, it is also important to give an insider perspective, the opinion of the Turkish people. TI’s 2013 Global Corruption Barometer measured the experience of the Turkish people with the corruption. 54 percent of the respondents in the publicly conducted survey in Turkey indicate that corruption has increased in the past two years. Respondents identified political parties (66 percent), the media (56 percent), the Parliament (55 percent), and business (50 percent) as the most corrupt institutions. Furthermore, 68 percent felt that corruption was either a problem or a serious problem in the public sector. National public surveys conducted by TI Turkey in 2015 and 2016 include similar facts and indicate that a significant portion of the population believes corruption is rampant in the country. In 2016, more than 55 percent of the population in Turkey believes that the level of corruption has increased over the past two years — this figure was 67 percent in 2015. These results show the level of mistrust the people hold for various state institutions. Another figure related to this same issue is that 45 percent (60 percent in 2015) believe reporting bribery and improper solicitation of gifts by public officials does little to improve these problems, and in fact, could result in negative outcomes. These local figures are in line with international indices, all of which indicate clearly the Turkish public views that corruption as a serious and persistent issue in their daily lives. Given that it is seen as such an important issue by experts and the people of Turkey, let’s see how decision makers are dealing with it. Turkey implemented some structural changes to address this issue between 2003-2005 in accordance with the EU harmonization process, such as signing the UNCAC and OECD Conventions, establishing the Council of Ethics for public officials, and enacting the Right to Access Information Act. As a result, Turkey's perception was positively affected in that period, but subsequent compliance with these internationally binding agreements was poor. In the meantime, the government announced the Anti-Corruption Strategy and Action Plan in February 2010, a detailed plan that identified problematic areas and gave specific deadlines for certain actions. The period of the plan was four years, ending in February 2014, and the longest deadline given under the plan for implementation of the actions was 24 months, a very ambitious approach indeed. However, implementation of the plan has not been equally ambitious as the actions taken under the plan have largely been kept out of the public eye and the whole process lacked the transparency and participation it was designed to provide. Even though six years have passed, no significant improvements have been made. Out of the 28 commitments on the plan, there have been improvements in only six areas and the remaining 22 saw little or no improvement. In April 2016, a new plan was announced by then-Prime Minister Ahmet Davutoğlu in the midst of the immigration crisis caused by the war in Syria, and it seems to have been triggered by negotiations with the EU on visa liberalization, as the EU specifically demanded progress in the fight against corruption. The 2016 plan, including most of the existing articles in the previous plan, is merely a list of things left undone from the previous six years. Turkey is one of the few countries in the world that still grants political immunity to members of Parliament in corruption crimes. Further exacerbating the situation, the 2016 plan has stalled following the resignation of Ahmet Davutoğlu from office less than a week after the Plan was announced. The program of the new Government, announced by Prime Minister Binali Yıldırım omits any references to anti-corruption efforts, and whether the 2016 Anti-Corruption Action Plan will be implemented in the future is yet to be known. Looking back on the government’s actions over last six years raises the question of whether or not the political will required to make progress in this fight even exists. A true fight against corruption has two main elements: making reforms for better governance policies, such as transparency, integrity and accountability, and reducing the impunity in corruption-related offences. These should be the main pillars of any assessment of Turkey's performance in this fight, and I will briefly touch upon these in the next section. Corruption-related offences have long been part of the history of impunity in Turkey as such crimes are not duly investigated and litigated, and grave allegations are left unpunished. The German-linked Deniz Feneri charity embezzlement case, also known as the Light House Charity case, is only one of the recent examples in the history of impunity in corruption in Turkey. Even though Germany convicted three managers of the charity on charges related to the misuse of 41 million euros collected by the charity, the case later filed in Turkey in 2008 with the same allegations concluded with acquittals in May 2015, which was a huge surprise for the public. Another recent example of impunity is the investigations initiated on 17 and 25 December 2013 revealing an important corruption and bribery scandal, in which bureaucrats, businessmen and some ministries of the Justice and Development Party (AKP) government were implicated. Not only have none of the 189 suspects initially charged with very serious allegations ever been tried before the court, but a majority of AKP MPs in Parliament also refused to revoke immunity and did not allow prosecution of four ministers allegedly involved in a corruption scandal. This investigation, unfortunately, was poisoned by the fact that it is mainly initiated by judges and police officers closely linked to the Gülen network, and it was framed as an attempt to overthrow the government. Even though this case seems to be closed in Turkey, there are still very valid question marks about why the serious allegations have not been truly investigated and tried before independent courts or in Parliament, which stands as a very recent example of impunity. It should be noted that the most common methods used in impunity cases, secrecy orders and the blanket press ban on court trials, as well as the wide range of immunities granted to politicians and bureaucrats are systematically applied in corruption cases in Turkey. Unfortunately, Turkey is one of the few countries in the world that still grants political immunity to members of Parliament in corruption crimes, as well as a wide range of immunities for bureaucrats in some corruption-related offences. As any country in the world genuinely intent on abolishing systemic corruption, Turkey needs to deal with the long-standing history of impunity issue and reform its laws and regulations accordingly. The aftermath of the coup attempt on 15 July is teaching the Turkish people that the cancerous cells of corruption… must be addressed. The other side of the coin in the fight against corruption certainly requires creating a system embedded with good governance principles. The principles of good governance are so well known throughout the world that we do not have to invent the wheel. All that is required is commitment to the rules and persistent implementation. The World Bank emphasizes that although Turkey has shown some improvement with regards to governance indicators, it is still significantly below the EU-27 average. It also suggests that Turkey’s anti-corruption initiatives and their results have slowed or even regressed. The 2010 Global Integrity report assessed Turkey’s integrity as weak in previous years. Particularly problematic areas were transparency in political financing, conflict of interest safeguards, and checks and balances in the executive, legislative, and judicial branches. Finally, in a recent study by TI Turkey, the National Integrity System (NIS), reveals the long shadow of executive power over the pillars of the system and the fundamental institutions of the regime. While the “separation of powers” principle has turned into “unification of powers,” the institutions that are essential for a democratic system to function, such as the legislature, judiciary, and media, appear to have been rendered ineffective by this shadow. Of the 15 institutions assessed by the NIS report, 11 were classified as “weak” and only four rated as high as “moderate” (see Graphic 3). The fact that none of the institutions in the system could be identified as “strong” provides crucial insight about the functionality of the state. The deficiencies in the main institutions are mostly the result of political polarization, partisanship, and the imbalance in checks and balances mechanisms. Because the main institutions have been subject to significant influence from the executive branch, and their independence has been severely compromised, the issue of “How Turkey is Governed,” is extremely pertinent and even very timely now in the wake of the coup attempt. What Lies Ahead for Turkey? In the light of all the above, the aftermath of the coup attempt on 15 July is teaching the Turkish people that the cancerous cells of corruption, wide spread nepotism, cronyism endemic in the system, and the lack of checks and balances result in weak institutions and a dysfunctional state, and this must be addressed. Erosion of whole institutions, rules, and values must be stopped, and the capacity of the system to deal with problems must be strengthened. This could really be a precious opportunity to resolve the crisis. Maybe, it is a blessing in disguise, a chance to deal with systemic and structural problems. Turkey, a 93-year-old republic founded by Mustafa Kemal Atatürk, is now at a critical turning point after the failed coup, namely whether it will continue to be a parliamentary system with reforms for better governed institutions or a Turkish style presidential system that perpetrates former flaws, resulting in an autocratic regime. If it is to be the former, we must choose to adhere to democratic principles, embrace the secular system and rule of law and this time will have to deliver the results that have been waiting on for a long a time. If it is the latter, it may lead to further instability and eventually yield an uncertain future. Now, we are faced with the question of “How should Turkey be governed?” It must be answered by the people that love this country and are united in their stand at the edge of the cliff. It is clearly time to defend democracy, stronger institutions, and wage an urgent fight against corruption. While the Turkish people are now more united than ever around democratically elected government, it is crystal clear that in order to strengthen the country and its institutions, there is an urgent need for government to guarantee civil rights and liberties, respect for civil society, and a commitment in the fight against corruption. Turkey is a great country that must invest in its future to ensure democracy and the rule of law function properly. This may be a long and weary road, but this is the one we must choose. 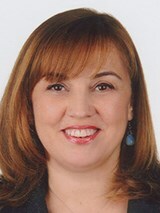 E. Oya Ozarslan is the chair of Transparency International Turkey.